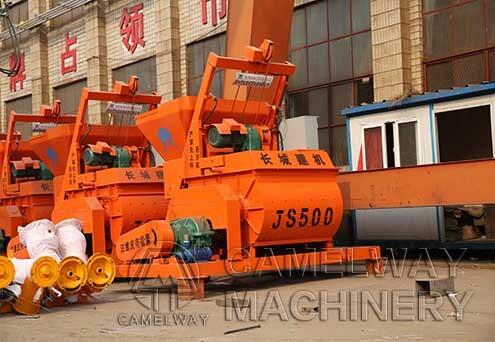 It belongs to twin shaft concrete mixer, which has strong mixing power, high mixing speed and even mixing. Our JS500 twin shaft concrete mixer has low energy consumption, fast unloading speed, simple operation and easy maintenance. It can be used to mix all kinds of plastic mix, dry hard, lightweight aggregate concrete and mortars. With high-performance concrete mixer for sale, we can largely satisfy your demand and bring your big benefits. Welcome to contact us at any time to get the latest quotation.